A clear contradiction in terms, but it’s not as ludicrous as it might seem. One of the key trends of the last decade was the struggle of the classic number ten, the central playmaker who would generally play in behind the strikers. The reasons for this have been discussed before – from the popularity of the “Makelele role” that saw playmakers struggle for space, to the predominance of counter-attacking football that discouraged the thoughtfulness of a Juan Riquelme, to the popularity of the 4-5-1 / 4-3-3 – there seemed to be a general trend against trequartistas. Players who would have been No 10s often moved out wide, or played deeper in midfield, or were even used as false nines. However, this summer’s World Cup confirmed the predominance of the 4-2-3-1, with three of the four semi-finalists (Spain, Germany, Holland) all using this system. This, of course, requires a central playmaker, and Xavi, Mesut Özil and Wesley Sneijder were widely regarded as three of the stars of the competition. So, we now have a situation where arguably the major formation of today features a type of player that has been overlooked in recent years. For some clubs, this is not a problem – players who played elsewhere a couple of years ago have simply been moved to play as a number ten, in some cases now playing in their ”natural’ position ‘in the hole’ in 4-2-3-1s. Wesley Sneijder was often used on the wing at Real Madrid, but when Jose Mourinho took him to Inter, the side was built around him regardless of whether it was 4-3-1-2 or 4-2-3-1. But elsewhere, we are seeing players who have spent their formative years as wingers being played in the central playmaking role this season. Examples include Ashley Young at Aston Villa, Aaron Hunt at Werder Bremen, Adem Ljajic at Fiorentina, Jesper Gronkjaer at Copenhagen and Mathieu Valbuena at Marseille. It’s clear to see that Young is not used to playing in the centre (although he has stated he believes it is his best position). If you form an imaginary triangle from the two corners of the opposition penalty area and the centre spot – therefore forming an area that could broadly be considered space where a trequartista would function in – the majority of Gerrard’s passes are played within this zone, almost none of Young’s are. There’s a clear pattern – he usually gains possession in wide zones. It should also be made clear that Hunt was simply drifting from flank to flank at will throughout the game, rather than simply switching wings with the opposite winger (which might create the same pattern), which can be demonstrated by narrowing the chalkboard down to specific time segments. Another man who has played this role (on occasion) this season is Mathieu Valbuena of Marseille, probably considered more of a right-winger than a central attacking midfielder. His chalkboard of passes played in the game against Spartak shows a similar pattern. Ljajic’s positioning in the game against Sampdoria also fell into this category. The pictures below shows that, when defending, his job is to remain in the centre of the pitch and occupy one of Sampdoria’s holding midfielders (first picture). When Fiorentina are on the attack, however, he moves to the flanks to escape the attentions of his marker, and links up with the wingers on the right (second picture) and on the left (third picture). This is not a new role. Pavel Nedved was used a central playmaker for Juventus having made his name as a tricky winger, and frequently drifted around the pitch looking for the ball. There many other examples. However, the aforementioned circumstances dictate that we are seeing more players of this ilk, which can be linked into a general point about attacking players being more versatile these days, and the increased emphasis of movement. The role has emerged more by chance than by design and therefore it’s difficult to draw too many conclusions about the intention of coaches using such players. Then again, the same could be said of Francesco Totti pioneering the ‘false nine’ at Roma, and that role has dominated tactical debate for the last couple of years. In short, it’s hardly a revolution, but it’s something to watch out for. Very intersting, with Pires now at Villa it will be intersting to see if Young still gets to play in the center. He didn’t against Arsenal. Indeed, and playing Pires over Ireland was maybe an indication that Houllier wanted someone like this in that position? I remember Martin Jol once using Aaron Lennon as a central winger against Chelsea with devastating effect. Probably the smartest tactical move Jol ever made at Spurs. It’d be interesting to see if Walcott could play in this role, behind the striker. Walcott’s not a great link player, and he isn’t a great winger either. He plays best as an off the shoulder forward who runs in behind the defence and get to the end of moves. He isn’t as effective when he receives the ball on the wing to his feet to create something. However, Walcott’s movement off the ball is very good and if he plays centrally he would be better able to find space for himself, and playing behind RvP or Chamakh who like to drop deep, he would have the pace to be able to get in behind their passes. But then you are basically playing with 2 strikers in a 4-4-2. With VdV out injured, and Bale often staying on the flank, I wouldn’t mind seeing Lennon drifting inside more, like he did with the winner against Liverpool. With the rest of the team focusing on getting the ball to Bale/VdV/Modric, Lennon hasn’t been getting involved, often ending up the outfield player with the least touches in the game. Spurs have been struggling against deep-lying defenses that deny the wingers space to run in behind, so the team has to become smarter at pulling the opposition out of position without pushing too many CMs forward and getting caught on the break (as has happened multiple times this season, hence the atrocious defensive record). At the World Cup in 98 Zidane would be all over the place, drifting from the center to both the flanks (overlapping with the fullbacks) as well dropping deep to defend or pick up ball. The british formation playmaker tended to be merely vertical (till now). Agree with above comment, very interesting. Perhaps this year’s trend after the ‘inverted winger’ you highlighted last year. In his short time before he got injured, Hatem Ben Arfa took up a similar position at Newcastle – naturally a winger, he often took up the position of an attacking central playmaker who found joy there (his wondergoal against Everton) while also drifting to the left hand side to look for space and creative opportunities. In terms of the defence this tactic can also cause a problem for picking up players, as there is a lot of drift involved in this type of flexible play. However, as you say the passing pattern is relatively different when compared to those players who have played in the centre for a long period of time. Do you think this lack of dominance in play could cause problems for some teams, especially if the midfield contains relatively few good passers? Another interesting idea is whether the production of more standard no.10s will increase from Academies, as clubs standardise to 4-2-3-1, will the idea of using wingers centrally persist? The 4-2-3-1 is a good system for “central” wingers. Take a look at German national team. Özil is usually drifting wide. Müller is also a player drifting wide (last season at Bayern) or from wide to central positions (at the national team). An other system for this type of players is the diamond (of course you need a central starting position). Werder Bremen played with Özil (and now Hunt but he is unsteady) not a classic playmaker but a diamond that slides over the pitch to provide width. Not that the other ones are even in their prime yet, but looking around there is already the next batch coming up for Germany: Götze, Holtby, Schürrle pretty much all have the tools as well. Holtby and the other young men are also players with a good ‘instinct’ to use space, good positioning, and hard working players. Hunt too, but his performances are like a roller coaster (good games, bad games, and injuries). The home match against Genau was a good example of the midfeld diamond with Hunt ‘behind’ the strikers. I’m not a big fan of Marin, a good dribbler but not that intelligent, not good in defence. I think he has not learned enough the last year and his development has stopped. You can even make this analysis in tandem with that of former creative players being deployed on the wings (Messi, Ronaldinho, Robinho, etc) to create space for themselves. In a way, by applying both concepts simultaneously, the players try to drag markers out of position and create space fore each other. If seen in a holistic picture, this is nothing more than the reintroduction of total football. This is now possible with less cultured players than van Hanegem, Neeskens, Cruijff, etc, because the players themselves receive a more sophisticated tactical training than in the past (same concept as the expression that says the work of a genius from the past is that of an technician of the present). I always like to see this with the eyes of someone who has played (amateur) basketball for several years. All these concepts of constant movement are the bread and butter of any basketball player. Funnily enough, they seem to be only starting in football. Any reason why that is? I know nothing about basketball. I suppose because the pitch is smaller it makes it (a) easier to drift from flank to flank and (b) more important to move, since the pitch is more crowded? Atacking on Futsal is entirely based on movement off/on the ball and player rotation… it’s mostly because of the reasons you presented. With the faster players of today, you could imagine the football pitches are getting “smaller”. I came to futbol from basketball, and the similarities regarding principles of spacing and teamwork (“the ball travels faster than a dribbling player” etc.) were what originally attracted me. In basketball movement can be constant on offense because of the smaller field – someone trying to make constant cuts in soccer like they do in a princeton offense (http://en.wikipedia.org/wiki/Princeton_offense) will probably run out of gas unless they’ve seen a tour de france doctor for some blood dope. I think of Barca as playing the princeton offense and the analogy to the backdoor cut would be (1) the angled ball from the middle playing in the winger/wide forward behind the fullback but heading towards the goal (like the kind of pass that would play Theo Walcott in for his “favorite shot”), especially played after switching the ball from the opposite wing back to the middle; (2) the cross field ball from wide on one side to the winger from the opposite side ghosting in near the far post. In the realm of defense, I think of the sections in this Malcolm Gladwell article (http://www.newyorker.com/reporting/2009/05/11/090511fa_fact_gladwell) discussing how weird it is that the full court press is not more used in basketball, and the parallel I see is with how few teams in soccer really press their opponents, which is similarly surprising given the success that pressing teams like Barca and Spain have had. There’s no way a full-court press would work at a pro or college level. It’s the equivalent of how kick-and-rush works really well when you’re, like, 12 and are faster and bigger and all that. Players in college or pros are too skilled for the full-court press to work fulltime. That’s one way in which basketball differs from football, I suppose-the closest analogy to the full-court press is something like Barca’s pressing, which is obviously excellent. I’m unsure of why this is the case. Anyone care to take a stab? I have seen full-court press in the first German Basketball League. A midtable team (Phoenix Hagen) plays pressing. I’ve seen one game and it was pure terror. not an expert for German Basketball but they do quiet well for a smaller team. Yes, I think pressing can work versus a low-to-medium quality team, but rarely or never against a good team–which doesn’t seem to be the case with, say, Barcelona’s high pressing. And one way out of this “trap” is through long or longer passes “as it avoids the need to navigate through defenders in the neutral zone, although it has high rates of turnover.” This high rate of turnover is what I witnessed frequently being committed by Real Madrid this past Monday. The Malcolm Gladwell article gave one reason why the full court press isn’t used as much in basketball. It’s a guerilla tactic- it’s the best possible tactic for a team with limited resources(less talent). The profiled coach in the piece even pointed out that if the teams they played against pressed back their whole gambit would fail. Why don’t all lesser teams adopt it? Maybe because it doesn’t develop other fundamental basketball skills like dribbling and shooting. The coach Gladwell profiled readily admitted that none of the girls he coached were going to be athletic scholars (playing in the tougher college leagues in the US) so he chose a tactic that would make them efficient winners rather than one that would also develop their fundamentals. I think one reason is that it is 5 vs. 5 and not 10 vs. 10 players. the smaller field (and 24 sec count down etc.) is keeping the pace high and teams need to attack with all players to make points in this short time. total different sport (and to me more interesting than american football). I think some football teams play sometimes basketball in training because of the movement, blocking etc. I also don’t know that much about basketball (I enjoyed playing it when at school, but don’t consider it to be a particularly good spectator sport), however the tactics used in basketball make an interesting comparison to football. As João said, basketball players do seem to be more fluid in their off ball movement when in possession, and I think ZM got most of the key points as to why that is, though I would add Basketball allowing unlimited substitutions and the shorter length of matches (48 minutes and three breaks, as well as time outs) also allows teams to maintain the constant movement without overly tiring themselves. However in defence basketball could almost be considered backwards when compared to football; zonal marking is rarely used and in fact it is actively discouraged by the rules of basketball (the NBA didn’t allow it at all until 2001 and their are still rules in place that limit its effectiveness). The pressing game is also utilised less than in football, most teams will allow the opposition to enter their half of the court before actively trying to close down the ball; while a ‘full-court press’ is sometimes used it is generally only used by teams late in the game when they are behind; I find this quite surprising because the reasons that make constant off the ball movement in attack essential in basketball, should also mean a pressing game should be possible from start to finish. Great article by the way, you have me wondering how I could get a player to play like a central winger (got to love a good oxymoron) in Football Manager now. Zone defenses make up probably 30% to 40% of defensive play in the NBA, and many coaches regard it as something of a gimmick (and, not unlike English football commentators, there’s a certain strain of American coaches–in whatever sport–that despises trickery of any kind). That said, I think the particular structure of basketball–which is a sport I adore, by the way–lends itself far more to man-to-man (man marking) defense: the court is much smaller and keeping a particular shape is a bit less important. the reason the press doesnt work doesnt work in basketball because it takes too much energy too effectivelypress, the large numbers of times they need to in one game and the fact that even most average players can dribble out of a double team. In football, if pressing us done correctly, it is difficult for even very skillful players to break it down and retain possession. Just to elaborate on this: in basketball, you dribble with your hands and you can, at any moment, stop where you are and hold the ball. In other words, it is much, much harder to strip the ball off somebody in a 1v1 in basketball than it is in soccer. The amount of control a talented basketball player has over the ball is much higher, so defensive play has a different character in basketball. The same principle explains why zone defense and full-court pressing are less popular/effective — the players can move the ball far more precisely, even given the smaller space, and the rules regarding fouls make it extremely easy for a talented player to exploit even a small amount of space. Plus it can be picked apart easily by quality guards. I would be carefull with that. It’s just different sport. I think one difference is that Basketball is a hard sport but you have to think about fouls in every situation. due to reduced space it’s ‘easy’ to make a foul for a basketball player. add rules like foul counting etc. AND the NBA is a show league, mostly for entertainment. no relegation, high scoring etc. the structure is very different to european sport. There is already some degree of explanation below, but the points is essentially space: you move because you need to create the space. Of course, the shot clock (the amount of time you have to shoot at the basket) causes a sense of urgency, but the need to move the defence to create space is the essential. Something important is that the game is not supposed to be frenetic, even if needs constant movement. It depends immensely on the changes of pace: the players move slowly and then, suddenly, erupt in fast activity. This unbalances the defence enough to create space. One interesting point was Inter’s defence last season at Camp Nou. It used very much a mix between zonal marking and man-to-man help side defence (the defence is man to man, but the players keep an eye on the adjacent areas and move to cover when a companion is beaten). I think football would have much to gain from other sports, even if the pitch is larger. Especially because at any given moment the pitch which is actually being used can be very small. I agree, football tactics can still learn. I think American Football tactics could be used to a certain extent, making pre-arranged plays and pre-decided movement and passes. I know Barcelona does this to an extent, but that’s mostly because they’re trained the same way in their academy as they are in the senior team, which makes it possible. A better analogy to the pre-arranged plays is stuff like pick-n-rolls and give-n-gos in basketball. American Football is really different from other sports as far as the play-by-play nature but there are parallels like this article. In both footballs, you want to get the ball to your playmakers in space. A player like Reggie Bush or Dexter McCluster who lines up all over the field is similar to the central winger idea. Well I think this is already the case, the emphasis on concerted collective movements is firmly at the core of football tactics evolution in the last 40 years. 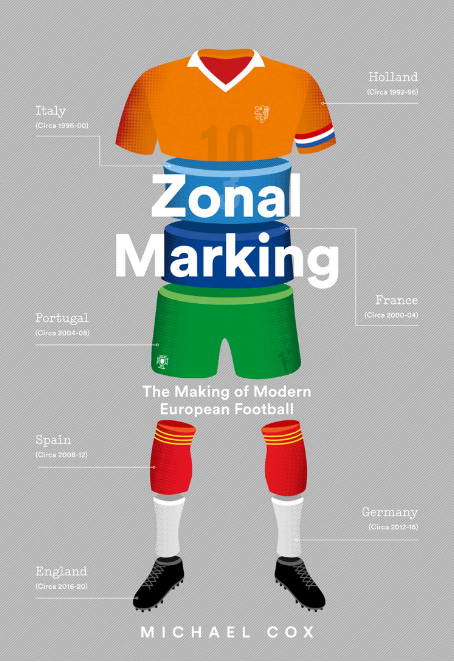 Defensively, just think of the name of this very site, Zonal Marking: it went from experimental stuff in the seventies to an essential know-how for any player – in most academies you get introduced to it before you turn 12. Offensively, the open-play and uncertain nature of football action puts a limit on how far you can profitably go with setting up pre-arranged schemes. Not that there aren’t coaches who have been very obsessed with that (think Arrigo Sacchi or Zdenek Zeman). Btw, dustygator is spot-on in suggesting that basketball offers more apt analogies. But if you look at set-pieces, which are the situations that mostly recall the nature of american football, you’ll see that every team spends a lot more time practicing routines than in the past. Re Barcelona, another historical example which worked very similarly is Ajax in the eighties/nineties. João André compares new tactical trends to Basketball and I see football starting to look more and more like futsal. comparing football tactics to those of games played in small courts is as you’ve mentioned due to less time and space available compared to the past. The rhythm of the game is getting faster and faster as one can easily see by comparing two consecutive world cups. the idea of a “central winger” can also be discussed as part of a more general process. You described how central midfielders are all about passing these days, take Xavi for example. His physique and technique resembles a standard futsal player. Xavi and Iniesta are good examples. I went for the basketball comparison because that’s the one I know better from a tactical point of view. The connection with futsal, though, is an obvious and probably more natural one to make. Interesting. An example that sticks in the mind is United’s 3-0 defeat of Chelsea during Scolari’s brief reign. Fergie played Giggs in a central role. He’d done that many times before, but not against such combative midfields as Chelsea’s. Most fans believed it to be a bad move, but Giggs was man of the match and Fergie explained that having a ball-carrying central midfielder was part of his masterplan to escape Chelsea’s powerful midfield. The trend has worked the other way of course. Central playmakers have been shipped out wide in recent years to go the other way i.e. come in off the flank to find space as opposed to drift out from a central position. Notable examples include Zidane at Madrid, Iniesta for Barca and Spain and a whole clutch of Arsenal players (Nasri, Hleb etc.). I was also going to point to Giggs. I think he played in the central role in the 4-3-3/4-5-1 formations for United around 06-08 with Rooney doing the left wing shift. Another point to note is that Fergie was forced to play Giggs centrally towards the end of 05-06 season, including the Carling Cup final. This was because Keane left mid-season, Scholes had his eye problem, and Alan Smith broke his leg. United played with the midfield four of Park-Giggs-O’Shea-Ronaldo. United had a good end of reason run which I beleive is the foundation for the title success in 06/07. Look for one of United’s goals in the Carling Cup final 06. You can see the “ball carrying effect” – Giggs weaved pass 2/3 players in the middle and send it over to Ronaldo and G Nev on the right who crossed for (i think)Saha to score. It can also be problematic sometimes because sometimes Giggs because he is a winger likes to take people on and sometimes ran into traffic. I thought there might be an interesting comparison between the way Fabregas plays the modern day trequartista role and how Arsenal play without him. Having looked at the chalkboard of his passes completed against Everton away and Rosicky’s against Villa away, before he got moved to the wing, this is definitely the case. Rosicky’s pattern isn’t as striking as some of the ones posted above but he certainly drifts wide more often than Fabregas and drops deep less, which is Cesc’s strategy for finding space. It means Arsenal’s formation becomes ‘more’ of a 4231 than some sort of 4231/433 hybrid as the interchange is between the attacking band of three rather than between Cesc and the 2 midfielders. Nasri and Arshavin found themselves in central positions more than if Fabregas is playing. They would both presumably also play the role closer to how Rosicky does than Cesc. Completely missed the Wigan Carling Cup match but would be very interested to know how RVP interpreted the position and whether playing him there could be a genuine option for league matches. From what I saw of the first half, we played a 4-4-2 with RVP as a deep lying forward, Bendtner up top, and Vela on the left and Walcott on the right. I like this article as it concentrates on everyone’s favourite type of player. And in many cases is the best or most important attacker on the park. If I could add my tuppence – could this new use of such players be a reaction to how teams defend against them? For example, a trequartista is negated by an anchorman (which almost killed the free-role). A winger can be negated by a deep line and doubling wide players up (deep wide midfielder and full-back combining). This is a significant investment by the defending team on solely negating opposition players and can force a team into a defensive shape (and possibly conceding attacking possession). What throws a spanner in the works is if the attacker in question, normally negated by an anchorman drifts out to a weaker flank, seeking out weak areas of the pitch where an anchorman dare not go (for fear of abandoning the crucial “between the lines” area). Could it be the resurgence of the free-role? Only this time more athletic. Absolutely first class, this is a real eye opener and you’ve defined something that has been puzzling me all season with my club Blackpool. Elliot Grandin (a winger) has been playing in the tradtional playmaker role most of the season, yet he doesn’t act as a tradtional playmaker in that he drifts wide. I’d written about his role the other week and couldn’t fathom if Holloway was looking for a playmaker or not. I thought that if he was that Grandin would be dropped, however, I think this article goes some way to defining what Holloway is trying to do with Grandin and explains why he’s sticking with him. Good article. Watching Ashley Young since Gerard Houllier took over at the Villa has been highly frustrating, he seems to have far less impact when he plays ‘centrally’ (ie not that centrally) and it often seems as if the free role he’s given feeds his ego more than it increases his effectiveness. It’s part of a desire from Gerard to play all three of Young, Downing and Albrighton. But of the three, I would say Young has made the smallest contribution this season. In fairness to Young, he’s missed having Gabby up front, they have an excellent understanding that just isn’t there when Heskey or Carew are in. But if Spurs would like to swap him for Krancjar I’d like to see him arrive and take up this central winger position. If my joke is too obscure – that’s Zebedee as in The Magic Roundabout. Didn’t Figo play as a central winger in WC 2006? The chalkboards suggest that the term “Central Winger” is probably slightly misjudged – Hunt and Young etc are best know as traditional wingers but in the chalkboards although they do drift to the flanks a lot they aren’t putting crosses into the box from wide positions (Young plays three, Hunt and Valbuena don’t play any). They may be going wide but they aren’t going wide to play as “wingers” – wide playmakers perhaps but really is this not just a return of the Free Role? Certainly that’s what Zidane at ‘98 was considered to be playing at the time. Interesting that it’s often traditional wingers that are being utilised to do it now but as you say hardly a revolution. Still, very good article and good analysis as usual. I wish there were chalkboard stats on take-ons, one of a winger’s primary skills. You are right — this is nothing more than a free role. Well, as evident in the world cup (e.g. England vs Germany) one of the core functions for the player in this position is drifting wide (e.g. on the counter) to stretch the defensive line. This lets the opposing winger (e.g. the flank the central winger isn’t drifting to atm) cut in to create an additional threat in the center. Khedira in particular was not very successful with this directly, but his movement again resulted in central defenders/defensive midfielders being forced to cover him, which created more space in central for the core striker and the opposing winger drifting in. Just saw your article. Great work as usual ! I’ve written on the same subject a few weeks ago. I talked about relationships between the main striker and its closests partners (wingers eventually but more often the playmaker or 9 1/2). Made two out of three parts on this subject and that reminds me I should complete my trilogy. 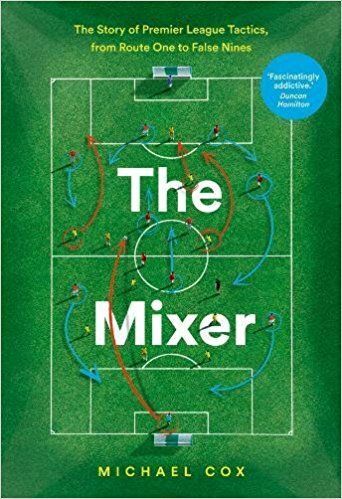 hi, great article, i especially liked the point about riquelme and the rise of the counter-attack – he lacked precisely those attributes that make ‘central wingers’ so potentially devastating in today’s game. i’d still prefer to go back a few years and watch a side built around a riquelme-type as opposed to a gronkjaer/young type, but I’m a hopeless romantic. Anyway, this doesn’t make the change any less fascinating. speaking pragmatically, do you not think mourinho could have more success in the champions league, and against barca at the bernabeu, with ronaldo in this role, rather than on the left of midfield? this would obviously mean sacrificing ozil as the playmaker(who i love, and prefer infinitely to ronaldo, but that’s the romantic talking again! ), yet it allows for either an extra DM or a more defensively sound wide player. this might be the most likely route to success for them, with a deeper defensive line bringing more solidity, and ronaldo free and able to do the rest. Is this development necessitated by the false nine? For instance, at Man City, Tevez immediately drops into a central area when City dispossess the opposition. A striker who does this essentially occupies the No. 10 position, so either the No. 10 has to go elsewhere to create space, or the there is too much congestion. I was about to make this point. If the battle is two 4-2-3-1’s, then the central striker and the trequartista are both matched by two opponents. The idea with this role is that the trequartista moves away from the opposition holders, dragging them out of shape, while the false 9 moves away from the centerbacks, doing the same. then the false wingers cut inside and move away from the fullbacks, attacking the destabilized line. Great article!!! I’ve been reading this site for a year or so but I’ve never actually wrote and I intend to do it from now on. I’ve been calling for Brian Laws to play Chris Eagles in this role at Burnley but I can’t see it happening. PS I can’t wait till the day finally comes when you or Jonathan Wilson replace Shearer on Motd – keep up the good work! Good God, any bugger could replace Shearer on MotD – even my father, and he’s been dead for more than thirty years. I think Messi fits into this category as well. Started as winger but mostly playing in central position over last two years now. if I had to name this position I would call it the “drifter” because that’s exactly what you do when you play there. ZM does Iniesta fit into this category, as maybe a sort of further back the pitch version? It seems to me that he is drifting out to the left even more so than usual this season. I just think of them as wide attackers. Parochialism alert: Clint Dempsey has, at times, filled that role for Fulham and the US team fairly well–in fact, I’d like to see Bradley using Dempsey more often in that role. With the tactical innovations being made in attacking play advancing rapidly from season to season, do you think we’ll start to see more fluid defensive units as well? Puyol tracking Ronaldo around was a good example of a start along that path – often pushing the wing-backs into the centre of defence so he could carry out his specific job, without disrupting the solidness of the back four at all. Would you count the likes of Charlie Adam and Chris Brunt as central wingers or merely players who have been converted to central midfield? How do you defend a side of the pitch suddenly flooded with a Central Winger, Attacking Midfielder and Attacking Full back and possibly a Striker moving out for support as well? This has actually been one of Derby’s best tactics using the 4-2-3-1 at homes this season, the traditional 4-4-2 teams are often outnumbered on one side leaving space for us to play in someone (usually Brayford) on the opposite side or simply pass it past defenders with our numerical advantage. One idea might be for the defence to become more rotational too, with only 1 striker up front, if the holding MF is pulled wide by the Central Winger then the CB not marking the Centre Forward could step up (cautiously) to shore up the middle of the park an Attacking CB. Also, in a 4-2-3-1 with a central winger could we see the advent of a more attacking holding midfielder who can run into the spaces left empty by the runs of the Central Winger? I would love to see a switch where the defensive midfielder played higher up the pitch. Stopping attacks earlier and getting the ball quickly to attack minded players. I think that this would only work however if the attacking midfielder playing deeper has the ability to also tackle, cover and time runs properly. Yaya Toure then? He would certainly fit the bill perfectly. From the opening game of the season through to yesterday’s game v Bolton, Yaya Toure has played most of his time on the pitch closer to Tevez than to his centre halves. To suggest he is a ‘defensive midfielder’ for Manchester City is a fallacy. He may have occupied this role for Barca, but Nigel De Jong occupies the so called ‘Makelele’ role for the team, assisted by Gareth Barry (albeit with licence to advance if the opposition set up allows). Yaya Toure’s position is distinctly more advanced than either of these two players. Regarding the ‘false winger / zinger’, Dave Silva is revelling in this role at City. He does start games ostensibly as an inverted winger on the right, but particularly against teams who play a more expansive brand of football (Bolton yesterday, West Brom, Fulham, Blackpool recently) he drifts inside wherever the space is, linking play intelligently and often effectively. If I recall correctly, Abou Diaby played as a “defensive” attacking midfielder earlier this season against Chelsea at Stamford Bridge. He was playing higher up than Song and Wilshere, but was used to try and disrupt attempts from Chelsea to craft attacks from the back. It seemed to work really well, until the tackle by Essien on Diaby late in the first half which badly affected his mobility. I was hoping to see something similar in other matches from Arsenal this season, but I guess Diaby’s injury and the fact that players like Rosicky, Fabregas and Nasri, who would play in that position, wouldn’t be as suited to the role as Diaby is. Reminds me a bit of the Moeller/Haessler tandem Germany played with during the 90ies. In fact, Haessler was probably the prototypical player for this role, whereas Moeller was more of a “false nine”. It´s no wonder that Berti Vogts used a 4-2-3-1 at the Euro 96 as one of his default tactics. I’ve actually played right mid for a club last season. I moved to a new club and played striker there. Then I had to drop a bit deeper because I realised we weren’t able to hold the ball up that well. I moved to the flank where the ball was to help keep it there for longer and with the other team playing a regular 4-4-2, the centreback couldn’t track me in to the flank and it ended being 3 v 2 in our favour and it was a lot easily to play through them. So even if it isn’t the highest level of football, I think by using a ‘central winger’ you effectively get a numerical advantage. When the ball is ready to go into the box, at least a few people are out of position for instance, their right mid might be the furtherst back, cen defender has been pulled out wide. You can’t really assign a player to man mark him because that person floats around and would play havoc with your defensive shape. A 5 minute switch or switch at the crucial moment may mean the player who is supposed to man mark is concentrated on the one who the playmaker has switched with, just creating confusion. As always, fascinating ZM. As Ryan McManus mentioned, I was thinking of Messi while reading. Reminds me of Morten Gamst Pedersen, who stagnated on the wing last season for Blackburn. Now he shines in the more central position. I agree. As a Blackburn fan I have sort of wanted him out of Ewood Park after being great about 3 seasons ago. But in this position he could do really well, having two good feet helps him no end. Essentially, this is a description of what was called in the late 90’s the free role. Generally filled by a teams most technically and tactically adept player. This is all that is being described here. A large number of people have stated such above. This isnt a revolution of any sort imho. Dearth of suitable technically skilled players who have been playing as CMs (due to shift in focus in CM atributes) or number 10’s (a position that was out of fashion for 5+ years) means that coaches who wish to play this position in a given formation select to the most suitable player. Generally wingers are skillful, and have the engine to move about for 90 min at modern pace… job done. You could also mention Schweinsteiger’s new attacking midfielder role. he wasn’t a pacey winger but has the winger background and doesn’t quite remind you of a classic number 10. his mobility makes him relevant. And what about Messi? do you think he was ever employed as a “central winger”? I think this will now be the norm for players in the CAM role. The prevalence of two holding MFs means that they tend to find very little room in the center. Better to move outside to pick up the ball where the fullback will already be occupied by the winger. This strategy may also help in dragging the MF’s wide creating space for the striker or deeper players to run into. Nice article! I like how you have tried to capture the essence of this popular role within modern football. The idea of a Central Winger still doesn’t sit well with me…maybe its the name hehe. To me “Roving Centre Forward” sounds more appropriate or maybe “Side to side Centre Forward”…is that what we call an Oxymoron? Is the use of the WINGER term used to describe the type of player used in this role based on their regular playing position or is it of the type of skills used that are highlighted by players in this position which are generally found in wider players? Pace and acceleration has definately become more in vogue with central players these days which is kind of a three-sixty as Speed attributes did ivolve into more techinal attributes and now it seems to have gone right around and back again! Great stuff. Any chance of an article on the new tactic that has come to the fore in the EPL in the last few seasons – ‘get on there and run around a bit, and stop playing with your hair’? Malouda at the beginning at the season and Nasri this past weekend.